A very long weekly newsletter this time, with many top quality pieces of original comic art just put on auction! be sure to click the link below to see for yourself, and if you enjoy the read just go to the homepage of this website and subscribe for free! Many high end Marvel pieces on sale on eBay: Starlin, Dell’Otto, Alex Ross, Byrne and Ditko! In the affordable art section some Spider-Man pages by Leonardi, Mike Deodato and Bagley. For DC we have Pacheco, Mahnke, JH Williams and Darwin Cooke, then an Adi Granov Hellboy painting, a Travis Charest Wildstorm page and More! 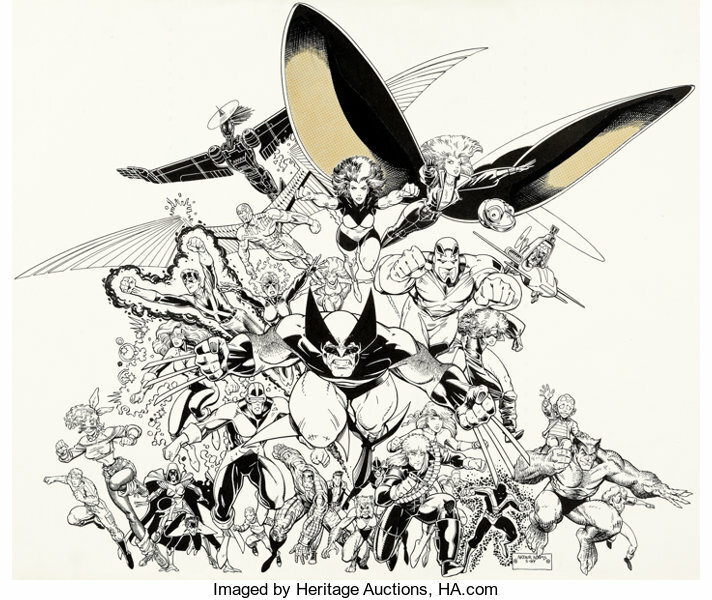 It’s time for another Heritage Signature Original Comic Art Auction, this week we have part 1 of 3 of our preview, with Adam Hughes, Alex Toth, Bolland, Frazetta and two incredible Barry Windsor Smith covers, don’t forget to also look at great comic strips: Hogarth, Raymond and many nice Peanuts dailies. Here we are to #80 of Original Comic Art Tips, as always you can read all the weekly issues by going to the archive section of this website. Or you can get the new ones by going to the homepage and subscribing to the mailing list! 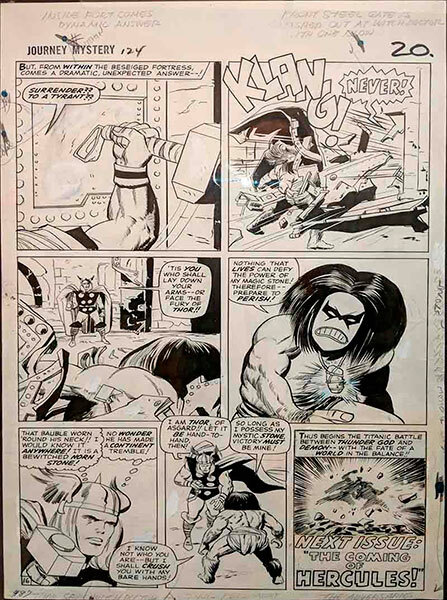 Last week some impressive pieces of comic art were sold for impressive prices, an Avengers cover on eBay went for $15k, an Incredible Hulk page by Dale Keown for almost $4k. On the Heritage Sunday auction a Swamp Thing page and a Gil Kane/John Romita Spider-Man page were both sold for $13k. ComicLink is the place to go for nice and cheap original comic art, where many pages and commissions drawn by top artists sold for $100/500! 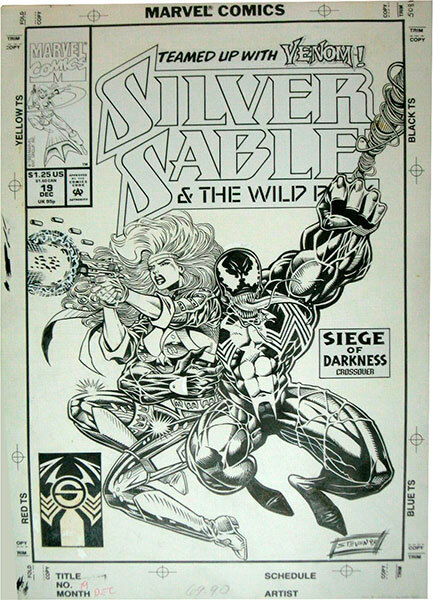 New art for sale this week by Alex Ross, Greg Capullo, George Perez and Jim Lee on eBay. Aparo, Adam Hughes, Paul Smith and Alan Davis on Heritage and a dozen painted pieces by Milo Manara on Catawiki! February 2019 was a good month for Original Comic Art on Ebay, many great pieces for all kinds of collectors were auctioned (go to the weekly newsletter archives to see all of them). This is a list of the top comic art lots sold on Ebay USA based on higher end price, my archives may be incomplete, as “Buy It Now” auctions are difficult to track, a really good piece may last a few minutes online before selling. That said I think we have 10 very nice pieces to see! Jack Kirby, Journey Into Mystery #124, page 16 original art, $5,1k. Pretty obvious that the King would win this chart. Nice pieces like this one usually go to other auction houses or, when on Ebay, they’re usually for sale with unrealistic Buy it Now prices. At the link below you can read the latest weekly Original Comic Art Tips Newsletter, it contains a selection of the best new original comic art for sale in every auction website, Ebay, Heritage and more. This week we had some important results, Barry Smith, Jack Kirby and Ross Andru original comic art on Ebay, a Kirby cover and a Mike Grell cover on Comic Connect. Many new pieces for sale to consider on Ebay: Spawn original art by Greg Capullo, a Catwoman page by Jim Balent and a double page by John Romita Jr.
Then Joe Quesada and Humberto Ramos original art on Heritage and a big auction of original comic art from the best french comic artists at Vermot. Very interesting weekend for Original Comic Art, many auctions ending on Ebay, Heritage, Comic Connect and Hake’s. Some impressive results from last week’s ComicLink original comic art auction: a Fantastic Four splash by John Buscema made an auction record, both a vintage and a modern Marvel cover by Romita Jr. were new records for the artist. Many pieces made collectors happy with low results, like a Jim Lee Joker illustration, a Lee Bermejo splash and a Frank Cho painting. Many new great pieces of original art for sale on Ebay from Barry Smith, Chris Bachalo, Terry Dodson and more. 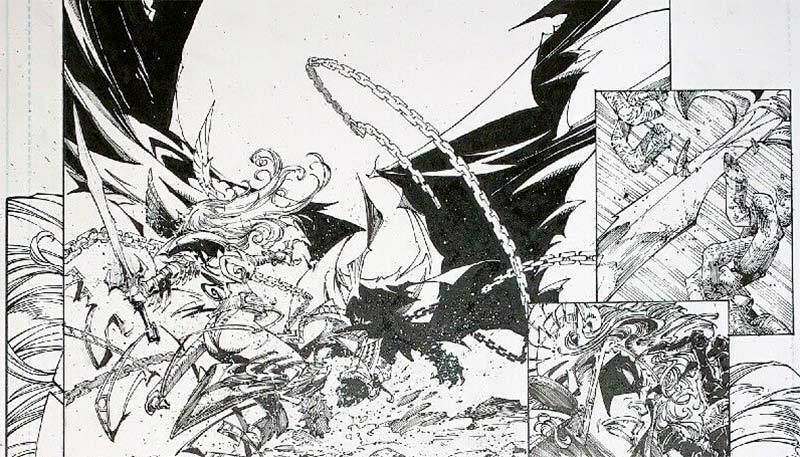 Joe Madureira and George Perez original art on Heritage, historic Jack Kirby art on Comic Connect and an early Sandman page on Hakes. Read it all by clicking on the link below, and if you’re not subscribed to Comic Art Tips go to the homepage and sign up, you’ll never lose that next piece for your collection! John Byrne Fantastic Four Original Art on Ebay! Original Comic Art Tips #74. We begin the month of March with great comic art for sale on our regular auction sites. Some Impressive auction results on Ebay: Mike Mignola, Don Newton, Jim Lee and Todd McFarlane original art all went for high prices. 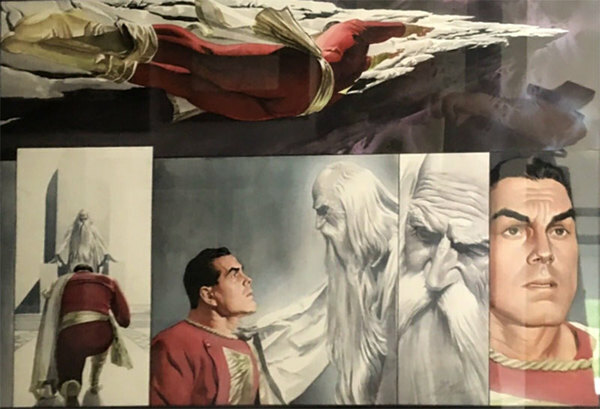 Last weekend all lots in Heritage’s Signature Comic Art Auction were sold, many made auction records and I made a long report that was published on this blog, for a change. Comiclink‘s next auction is about to end, there’s a long preview with many links to the best pieces (and there are many!) 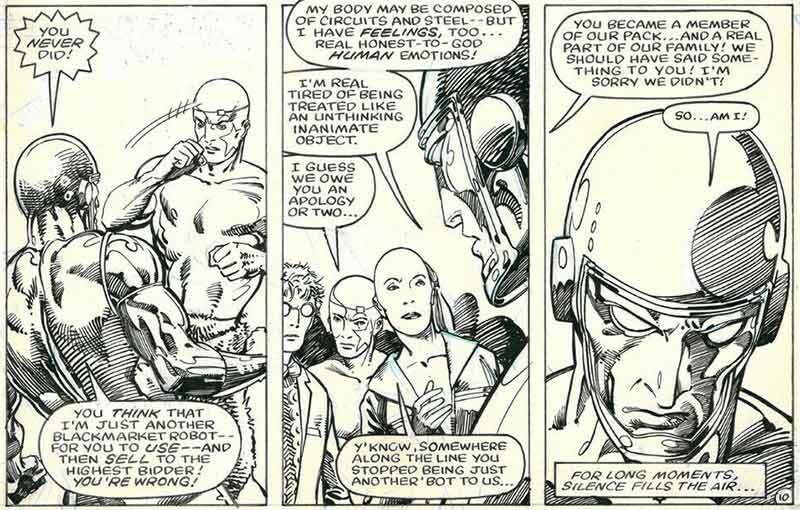 from Buscema, Kirby, John Romita Jr. and many more. So click the link down here 👇 to read all the news in this week’s newsletter, don’t forget to subscribe by going to the home page, you’ll receive every update by email. This is the first report I post on this blog. I’ve been doing Original Comic Art auction reports weekly, since October 2017, in the Original Comic Art Tips newsletter. Click here to see this week’s newsletter (for Ebay, Heritage Sunday and the smaller auction houses) and if you’re not a subscriber go on the homepage and subscribe, it’s free! 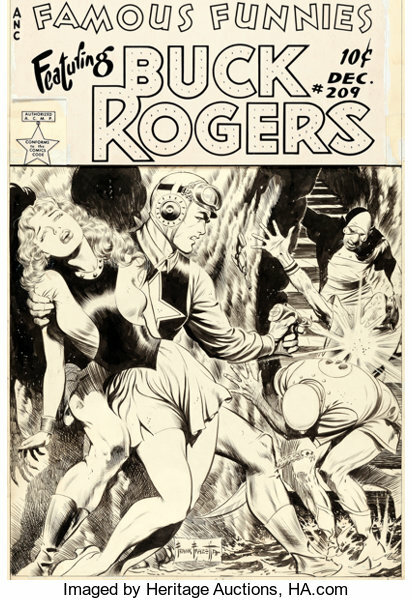 Frank Frazetta, Buck Rogers, Famous Funnies cover art, $552k. Frazetta is probably more known/collected as a fantasy painter, so a price like this for early comics work is especially interesting. At the same time this is one of his most beloved pieces of original comic art, we’ll see if this result will drive to an increase in price for all of his non painted comic art.